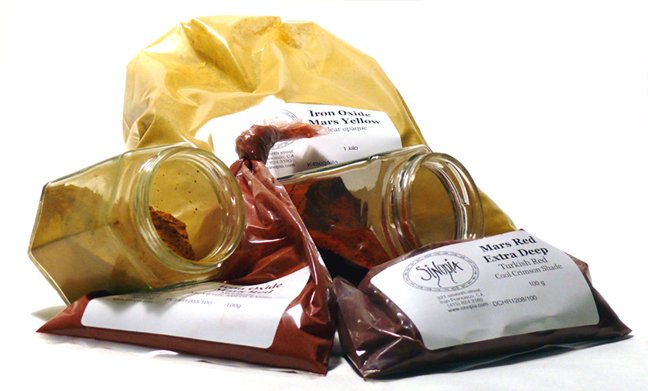 Chemically produced, pure iron-oxide pigments are extremely lightfast, opaque and stable in any medium. They are especially recommended for outside applications such as in cement and lime. Color range is similar to earth tones: from pale yellow to dark violet-brown.